It may not be an exaggeration to say that as a result of centuries of subjugation and the continuing colonial nature of both the Indian state and the Indian educational system, even after throwing off the colonial rule, we Indians have almost lost our sense of what Indian-ness may truly mean. We have forgotten what it is like to live in the soul of India, to pursue a life of seeking truth, beauty, power, knowledge and perfection in the light of the eternal spiritual wisdom that is at the heart of Indian civilisation. It is time that instead of blindly following the ways of the West, we Indians – individually and collectively – re-discover our unique place and role in the world. If each nation has a specific and unique contribution to make for the future of the world and humanity, we must begin to sincerely ask – what is India’s role? What is my individual obligation toward helping India rise up to its potential and work toward its true mission? And the question more directly related to our present inquiry is this – how does this seeking of Indian-ness relate to Indian Education? Let us explore this a bit. What makes us Indian? Obviously, Indian-ness is not just about the rich variety in Indian cuisine, clothes, festivals, rituals, customs, traditions, languages though they are all part of it. It is not only about the social-political-economic systems we have set up in our country, though they too are part of it. And it is also not only about the different religions and ways of life practiced by different sections of our people, though again they are all part of it. What is that Indian spirit that binds us all despite all these differences in our outer identities and ways of life? And how can we make that Indian spirit part of our educational experience? In this seeking for an absolute and in this striving to express an infinite, lies a way to bring the Indian spirit into education. A way that may be accessed by tapping into the master-key of Indian mind – both for educators as well as the learners. Because then alone we can be sure that we don’t ignore any of the contending partial truths about India. It will require some deep thinking on the part of educators, but it can be done. It will require educators to first tap into their own sense of curiosity about their internal master-key, and from there create outwardly a learning experience which may help students transcend, even if it is only for a few minutes, the narrowness or limitations of their environments and their sense of identities. Thoughtfully prepared lessons that allow ample room for free exchange of ideas among learners, carefully selected learning material that motivates learners to dig deeper and seek further, and mindfully planned group projects that encourage learners to practice the “thesis, antithesis, synthesis” intellectual exercise can be starting points for educators who may want to do this. [i] At a time when the whole wide world is discovering and beginning to value the benefits of asana and meditation practice, it is indeed sad that in its own birthplace we witness ideological battles over the incorporation of this as part of the regular school experience of India’s future generations. It is true that some progressive private schools are now starting to incorporate asana as part of their physical education programmes, but there is still so much un-grounded and base-less fear in the minds of policy-makers and educational administrative bodies that this could be wrongly taken as bringing “religion” into education, and that too “Hindu” religion. What will happen to the “secular” nature of our country? And so the argument goes. What has “modern” education done to the so-called intellectuals of our times? One really wonders! I can go on and on about this debate but I will stop here. Suffice it to say that all of this misunderstanding happens because Indians have refused to or forgotten to look into the very fact that religion as a word doesn’t really apply to Indian spiritual traditions, which led to the emergence of yoga as an inner science or inner discipline. They refuse to accept the fact that the rigid separation between sacred and secular is NOT an Indian cultural concept. 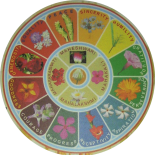 This entry was posted on January 29, 2018 by Beloo Mehra in Education, India and tagged Holistic Education, Indian Culture, Indian Renaissance, Spirituality in Life.